Some of what we read in the Gospels challenges and disturbs us, leaving us uncertain how to understand, apply, or discern the intended meaning. These hard words are more commonly discussed by biblical skeptics, people arguing against the Christian faith, than by pastors or teachers. Yet Jesus’ difficult teachings represent the challenges and expectations he has for those who would follow him. The Difficult Sayings of Jesus is one minister’s attempt to understand and apply fifteen of these vital, frequently ignored teachings to our lives. 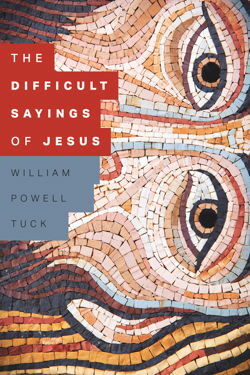 Together with William Powell Tuck, believers will seek to interpret and understand Jesus’ hardest words without lessening their demands. William Powell Tuck, a native of Virginia, has served as a pastor in Virginia, Kentucky, North Carolina, and Louisiana, and as a seminary professor, adjunct college professor, and intentional interim pastor. The author of more than 30 books, he received the Pastor of the Year award from the Academy of Parish Clergy in 1997 and received the 2016 Wayne Oates Award from the Oates Institute in Louisville, Kentucky. He and his wife, Emily Campbell, are the parents of two children and five grandchildren and live in Midlothian, Virginia. William P. Tuck’s new books are always an occasion for his fellow pastors and preachers to rejoice, because they know they can invariably count on Bill’s writings to be fresh, reliable, and appealing. The Difficult Sayings of Jesus will be especially welcome, for it casts new light on some of the most important concepts in biblical faith and reminds us of how eminently preachable and exciting those concepts can be. 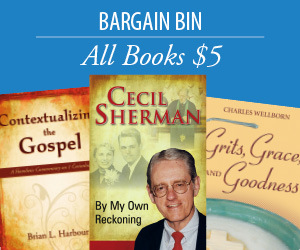 William Powell Tuck finds precious wisdom lying just beneath the surface of fifteen difficult sayings of Jesus. Tuck addresses the difficulties head- on, and he tells dozens of down-to-earth stories that convey the realistic wisdom of Jesus into our world today. The result is a warm-hearted, clear- headed book in which the challenge of Jesus is felt deeply and the gospel is affirmed joyously. The chapters on prayer and on the law are brilliant, and the final chapter on hope is, well, full of hope. Any serious student of the New Testament, laity or clergy, raises questions about some of the teachings of Jesus. Is the resurrection believable? Why should I pray to an all-knowing God? How do you deal with passages where Jesus contradicts himself? There are also issues just begging for explanation. What is the unpardonable sin? What is Jesus’ teaching on divorce? This book is a masterful guide for the minister seeking to preach on difficult texts in the Gospels. This book is also a very accessible and readable guide for the laity as they seek to understand the troubling teachings of Jesus. Tuck blends his scholarship with an ease of understanding that communicates well to a wide audience of believers and unbelievers alike. While all Christians would acknowledge the importance of Jesus’ teachings, if we are honest with ourselves, few of us give every teaching the same weight. Some are simply too hard to bear and others too challenging to understand, or so we think. It may well be that the more trying sayings of Jesus are the ones we most need to hear because of how they allow God’s truth to soften the hardest places in our souls. In The Difficult Sayings of Jesus, Bill Tuck expounds on some of these teachings and shows us how they can strengthen our devotion and give credibility to our witness, particularly in a day when many would characterize such sayings as irrelevant or unrealistic. This book is neither for the faint-hearted nor the faint-minded. But for those who desire a “red-letter” life, it will be more than worth the effort as Tuck’s treatment of these difficult teachings reclaims sayings we may have ignored for too long, the very ones which despite their complexity hold the most promise for our spiritual growth. Every Christian has the experience of reading along in the Gospels and coming to a saying of Jesus that brings a person up short. Sometimes we puzzle over the clarity of the verse. Sometimes we puzzle over the meaning. Sometimes, a saying seems to have a hard edge that is out of character for how we think of Jesus. Noted preacher and scholar of preaching, William Powell Tuck, looks at 15 such sermons ranging from whether Jesus was serious about cutting off a hand that offends you through Jesus’ seemingly intractable teaching on divorce to what Jesus might mean by eating Jesus’ flesh and drinking his blood. In each case, Tuck is exegetically careful to place the text in its historical and literary context so as to identify what the text really means. He is astute in thinking about the theological claims of the text. And he is hermeneutically pastoral in finding illuminating, practical, and compassionate interpretations. The sermons are lively. They move well. And the stories are worth the price of the book. Preachers and other readers will discover that if they face into these hard sayings in the company of wise guide William Powell Tuck, they will come away ever more impressed with the wisdom of Jesus. A pastoral treasure, rich and full of insight based on years of pastoral experience and meditation on scriptures, The Difficult Sayings of Jesus could serve as a valuable handbook for ministers or serious students of Christian faith and would enrich and enliven classes in Christian spirituality, retreats, or personal meditation.